Decorous, the launch exhibition by Amie Potsic Art Advisory. Curated and Presented by Amie Potsic, CEO & Principal Curator of Amie Potsic Art Advisory, LLC. Philadelphia, PA – Amie Potsic Art Advisory presents Decorous, an exhibition featuring Donald E. Camp, Aubrie Costello, and Tom Judd at Space and Company, located at 2200 Walnut Street, Philadelphia, PA. Curated and presented by Amie Potsic, CEO and Principal Curator of Amie Potsic Art Advisory, in partnership with Michael Garden Group, the show is on view now through September 15. The opening reception will be on Thursday, August 16th from 6:00 – 8:00 PM. The closing reception and Advisory Launch Celebration will be on Saturday, September 15 from 6:30 PM – 9:00 PM. Both events are free and open to the public. Hours are Monday through Friday 9:00 AM – 5:00 PM and by appointment. Decorous, featuring Donald E. Camp, Aubrie Costello, and Tom Judd, elevates and honors the words, individuals, and histories in our collective unconscious. The artists’ work melds social justice, politics, human rights, and personal narratives to yield a provocative and layered dialogue. They give voice to those struggling to be heard, including African-American men, women, and those seeking a better life for their families. With a distinctly American view on race, activism, and the frontier spirit, these artists invite us to confront and engage in conversation by elevating the every-man/woman to opulence, reverence, and relevance. Presented at Space and Company, the artwork resonates with the ornate décor of the historic building. 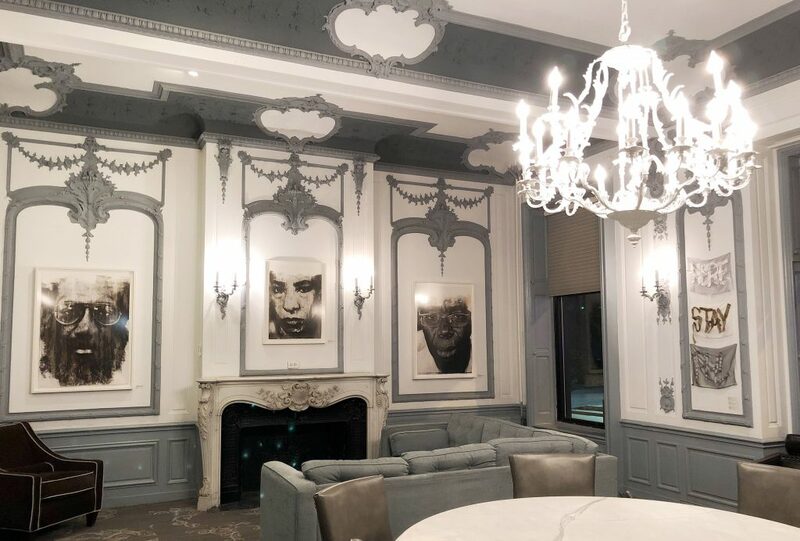 The molding, accents, and chandeliers interact with the rough-around-the-edges aesthetic of the artwork to shed light on the fine line of between high and low culture as well as the line-in-the-sand drawn by class and racial differences. 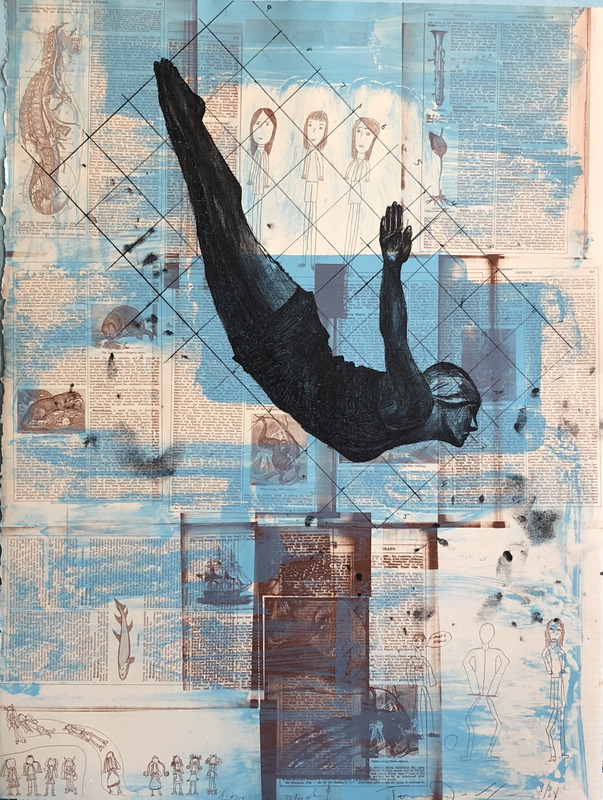 Depicting those often marginalized as revered portraits and voicing their words in silk slogans alongside suited businessmen in free-fall conjures the possibility that roles can be reversed and identity can be reformed. Donald E. Camp is an NEA, Pew, and Guggenheim recipient whose work addressing the humanity of all people, including African-American men, has been influential on the national discourse related to race and human rights. Tom Judd is a Pollock-Krasner awardee whose internationally exhibited paintings, collages, and documentaries have provided a vital American vision from coast to coast for decades. During this exhibition, Judd also has new public art on view at the University of the Arts. 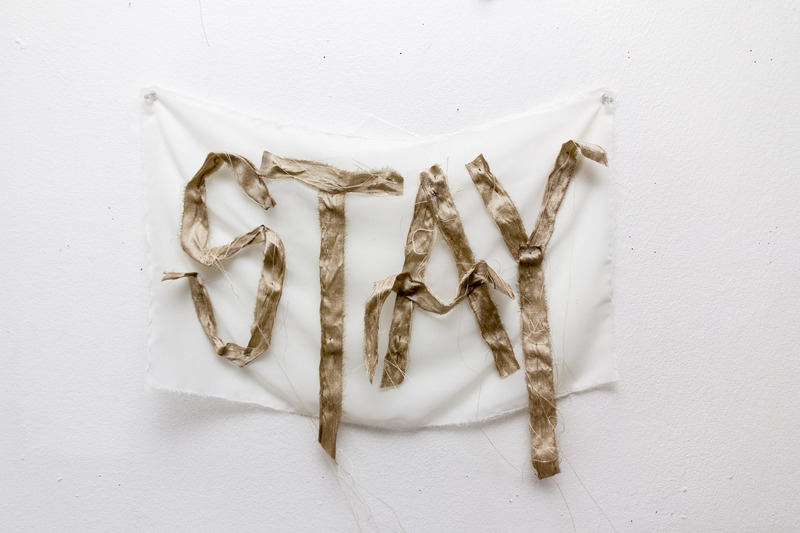 Aubrie Costello is a sought after silk-graffiti artist whose work speaks of truth and female power by creating interventions in galleries, public spaces, performances, and street art dialogues. Together, their work embodies the growth, collaboration, and calls for social justice of our times. Decorous is the launch exhibition presented by Amie Potsic Art Advisory, LLC. The show celebrates the contributions of accomplished artists in Philadelphia while highlighting the curatorial expertise of the company’s founder. Potsic began the Advisory in January of 2018 in order to fill a void of support for artists, collectors, and institutions while helping them to create lasting artistic legacies. Seeing a need among artists and collectors to plan for the future and create meaning from their life’s work, she now offers Legacy Planning as well as independent curatorial services and art advising. The closing reception for Decorous on September 15th will also serve as the launch celebration for the Advisory and will feature artist talks, entertainment, light fare, and libations. Also this September, Potsic will be curating Natural Wonder, a large-scale photography and video exhibition presented through Inliquid at Park Towne Place. The exhibition will feature Jenny Lynn, Caroline Elizabeth Savage, Keith Sharp, Laura Krasnow, and Leo Hylan. Park Towne Place, located at 2200 Benjamin Franklin Pkwy in Philadelphia, will offer an opening reception for the exhibition on Thursday, September 20th at 6:00 PM. Potsic and the artists in the exhibition will be presenting artists talks at the event. On Wednesday, September 26th from 1:00 – 1:30 PM, Potsic will be interviewed on Art Watch Radio by host Lele Galer. Potsic will discuss her Advisory and how she supports artists and collectors and provides legacy planning to solidify artistic legacies. The show can be heard live on WCHE 1520 AM Radio and can be live streamed from their website at http://wche1520.com/project/art-watch/ . Amie Potsic is the CEO and Principal Curator of Amie Potsic Art Advisory providing visionary and advisory support to artists, collectors, businesses, and institutions with expertise in Legacy Planning. She is also Chair of the Art In City Hall Artistic Advisory Board to the Office of Arts and Culture of the City of Philadelphia as well as an established photographer and installation artist. She has held faculty appointments at U.C. Berkeley and the San Francisco Art Institute and has been a guest lecturer at The International Center of Photography and The Delaware Contemporary. 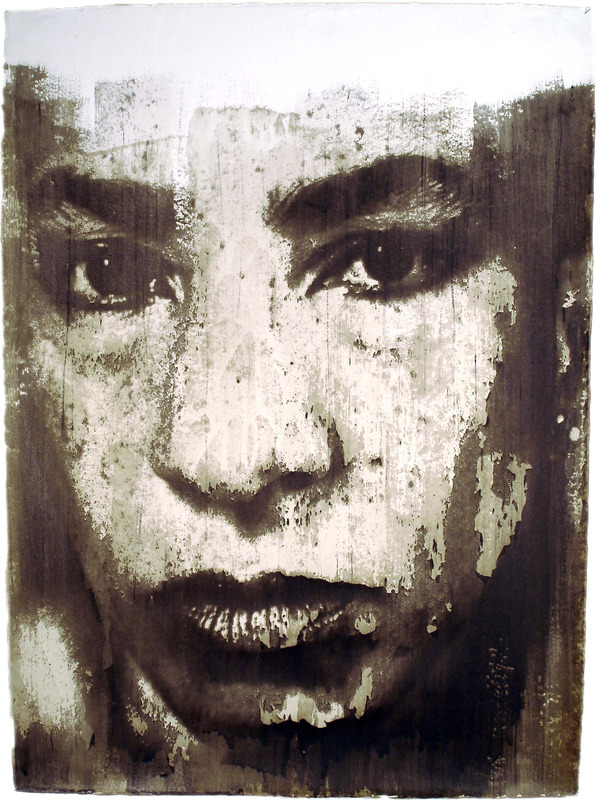 She also served as Director of Gallery 339, Director & Curator of the CDP at The Center for Emerging Visual Artists (CFEVA), Executive Director and Chief Curator of Main Line Art Center, and curated exhibitions for Philagrafika 2010 and The Philadelphia Museum of Art. For more information, please contact Amie Potsic at amie@amiepotsicartadvisory.com or 610-731-6312. This entry was posted in Art, Art Galleries, Art in Philadelphia, Art Spaces Philadelphia, Experience Design, Fine Art Philadelphia, Installation, Mixed Media Art, PA Art, Paintings, Paintings Philadelphia, Philadelphia, Philadelphia Art, Philadelphia Art Galleries, Philadelphia Art Installations, Philadelphia Art Shows, Philadelphia Artists, Philadelphia Artists, Philadelphia Photographers, Photography Philadelphia, Prints, Uncategorized, Works on Paper and tagged abstract art, Amie Potsic, Amie Potsic Art Advisory, Amie Potsic Art Advisory Curator, Art, Aubrie Costello, DECOROUS, Donald E. Camp, DoNArTNeWs Philadelphia Art News Blog, drawings, mixed media art, paintings, Philadelphia, Philadelphia Art, Philadelphia Art Gallery, Philadelphia Art News, Philadelphia Art Shows, Philadelphia Artist, Philadelphia Artists, Philadelphia Fine Art, Philadelphia photography, Photography, Space and Company, Tom Judd on August 14, 2018 by admin1.